Chatbots and self-service applications are growing, allowing businesses to offer the 24/7 access, always-on approach that customers demand. Despite these advantages, live, person-to-person conversation remains the most efficient and effective way to smooth value exchanges between brands and customers. When sales or service questions become complex or emotional, customers still want to speak to a human being because typing on a mobile keyboard makes it difficult to cut to the heart of an issue. Correspondingly, the advertising and marketing advisory firm BIA/Kelsey predicts that calls to businesses will exceed 169 billion per year by 2020. Research by NewVoiceMedia (News - Alert) also reveals that 74% of inside sales professionals believe making a personal or emotional connection with prospects increases the likelihood that they will enter the sales pipeline. 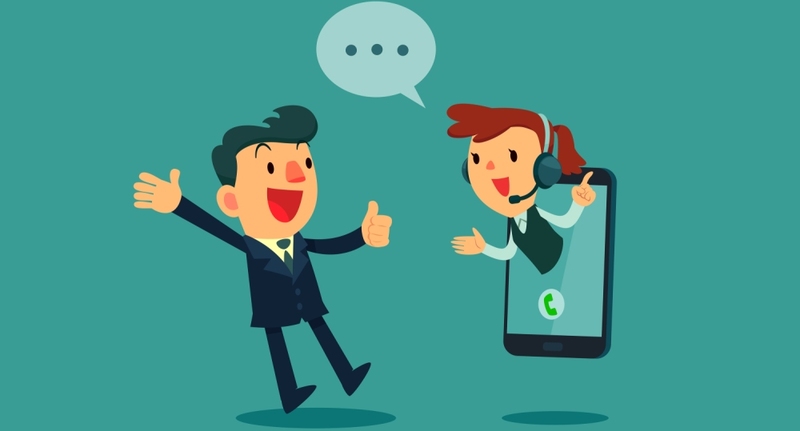 The sheer number of calls and the importance of creating emotional connections when making a sale, means an optimized contact center provides many benefits. Cloud customer contact solutions with tight CRM integration enable businesses to track customer interactions across every channel. These solutions simplify processes, reduce the number of interactions and preserve customer context and history for your agents across all touchpoints, presenting a single representation of all the data your business holds about each customer. In many cases, customers can solve their own problems via self-service technologies (SSTs). However, there will always be pivotal moments in any business-customer relationship that require the skills of a qualified expert. Most customers that reach this point will have already contacted your business multiple times, often across multiple channels. A fully optimized contact center means customers can enter and exit these conversations across channels without your business ever losing context. As your customers move from social media to a virtual agent and, finally, to the contact center, your reps will have a record of all past interactions and the knowledge to solve their problem with confidence. Marketing Week found that in 2000, the average consumer used two touchpoints when making a purchase. Today, they use an average of almost six. In this Age of the Customer, creating an end-to-end experience that preserves the full context between channels is a minimum requirement to delivering great customer experiences. This makes managing customer interactions across the ever-evolving number of touchpoints one of the greatest challenges and opportunities facing businesses. A contact center fully optimized for omni-channel allows businesses to meet the challenge, seamlessly picking up interactions from email, chat, SMS, video and social channels in a holistic manner. No matter where your customer is, and what device or channel they choose to use, your business is primed to pick up the conversation without a hitch. In situations when only speaking to a real person will do, providing a consistent experience that satisfies the army of multichannel customers can set you apart from the competition. Many contact centers use a queue-based routing system. Rather than matching customers with the best agent, this type of system matches them with the next available one. Often, this results in customers being passed around to multiple agents, increasing hold times and creating angry customers. Conversely, cloud contact centers can use intelligent IVR and ACD to match customers with the agents who can provide the best service, helping to create emotions that leave a positive and lasting impression. By tapping into your business’s data set, your contact center can optimize agents’ areas of expertise. Instead of assigning customers to the next available representative, customers can be routed to the agents with the appropriate skills and knowledge to assist. Optimized call centers can also provide those agents with a full, data-rich picture of customers who are calling before they answer the phone. Computer Telephony Integration CTI (News - Alert) provides screen pops to agents that display information about the caller including their past interaction history and whether they have any open support cases. That enables agents to personalize service based on any information stored in the CRM. Call center managers gain access to critical call center metrics that enable them to optimize performance by monitoring key performance indicators like average handle time, service level and response time. Emotionally engaged customers are typically happy and loyal. On average, they spend more and are more likely to recommend your company to others while being less likely to switch to a competitor. When customers reach out or seek help, the contact center remains a crucial part of building deeper relationships. A fully optimized contact center means you can track every interaction to deliver emotionally satisfying customer conversations when it matters most.